The primitive spinal cord is the most caudal structure of the CNS. The caudal character of neural cells emerges after neural induction, through the transformation of cell fates by a series of extrinsic signals. 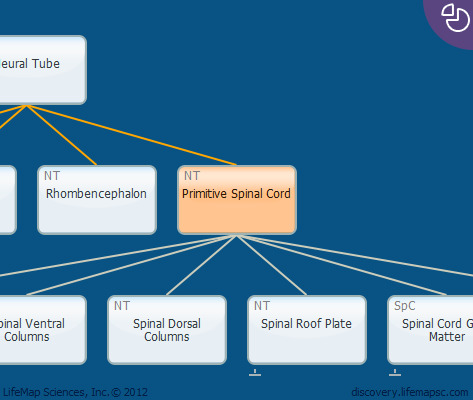 Soon after neural plate formation, the primitive spinal cord cells divide into several compartments along the dorsoventral axis of the neural tube: the most dorsal region, the roof plate, the ventral columns (prospective motor neurons regions), the dorsal columns (prospective sensory neurons regions) and the floor plate, the most ventral region which induced the ventral columns diffrentiation.